I wanted to go bicycling somewhere alone, where I could ponder life and think about Henry. Tootie was going out West the same week with friends. The weather in July is cooler up north. I planned a loop around New England lasting about a week. 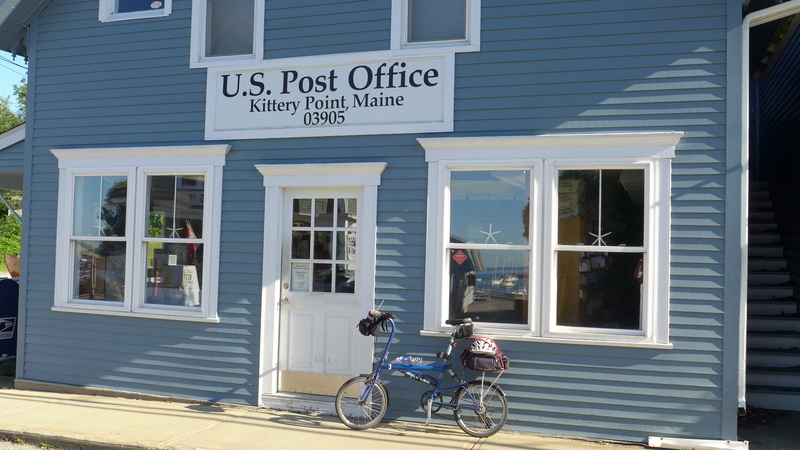 If I cut across the corners of several states, I might be able to bicycle through all the six New England states in a week. Taking Amtrak to the Northeast from Chapel Hill is much faster if you drive to Richmond VA. I bought a low cost Amtrak round trip ticket to Boston, but planned to get off the outbound train early, somewhere in Connecticut. I drove up to Richmond and stayed at a dingy motel in the suburbs, for my train early the next day. 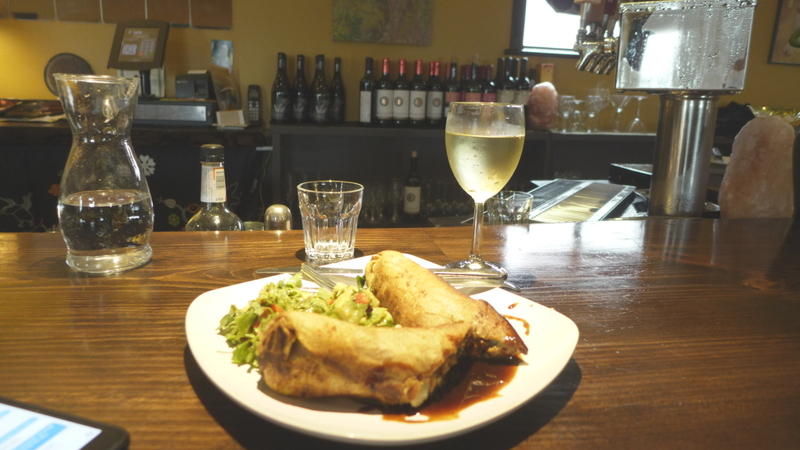 I had a great dinner alone at the bar of Richmond’s Mamma Zu, one of my favorite Italian restaurants anywhere outside of Italy. Amtrak has gotten really easy if you have a folding bicycle. You can wheel it right up to the train car, fold the bike, then carry it about thirty feet to the luggage rack, and settle in your seat. It was about nine hours up to New London CT, but I found the trip relaxing. I had gotten some homemade muffins from a friend of my Mom’s and they were delicious. I got off in New London about three in the afternoon, and bicycled in the direction of Rhode Island, twenty-one miles to the east. The ride along the Connecticut coast was lovely. 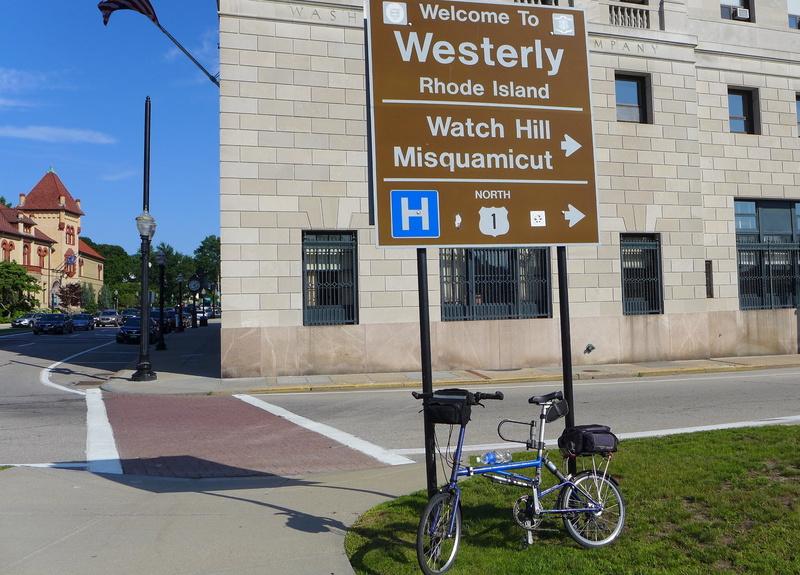 I arrived Westerly in a couple hours, but did not stay in Rhode Island very long. 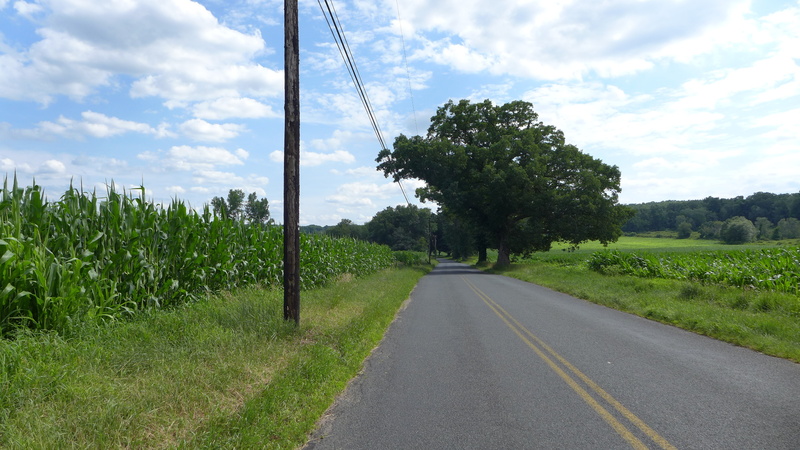 I eventually crossed back into Connecticut, and cycled another twenty miles or so towards the small city of Norwich. The road passed through the picturesque kind of New England that we always hear about, including peaceful stretches of forests. 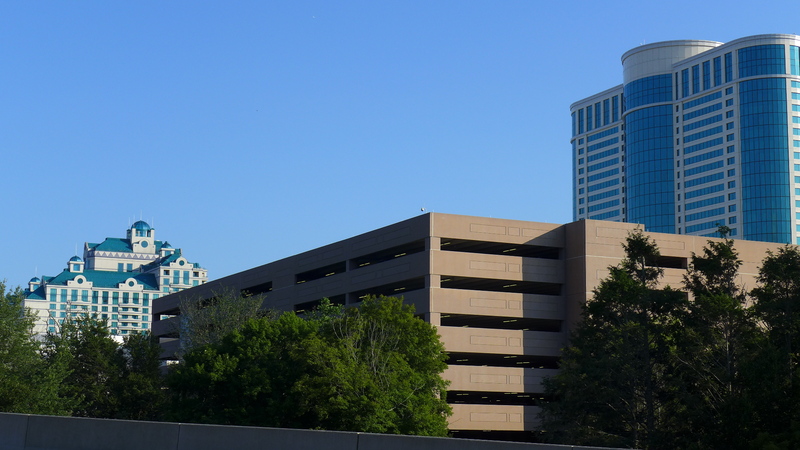 Jumping out of this serenity was the revenge of the Native Americans, the Foxwoods Casino (and parking garage), springing up from the wooded countryside. There were a few more miles of woods before arriving downtown Norwich. The city seemed poor and depressing. I cycled to the other side of town to a motel near the Interstate. 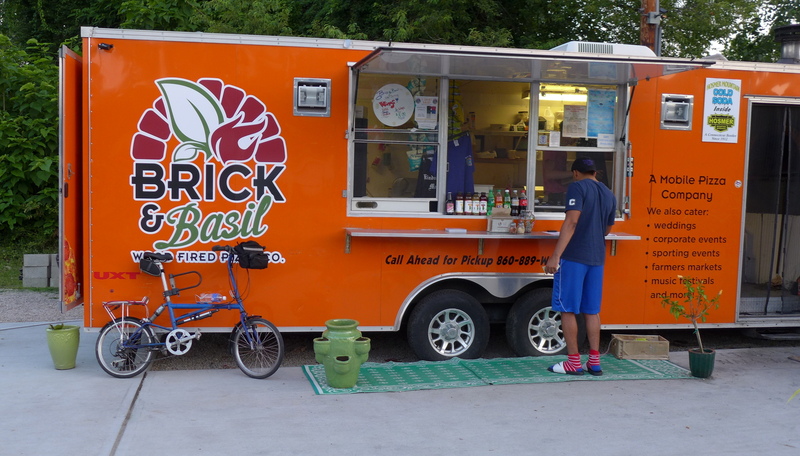 Near this motel was this pizza truck, which had pleasantly lit picnic tables outside. They did not have wine, but encouraged you to go to the liquor store just a quarter mile down the road. I bought a bottle of New Zealand Sauvignon Blanc, and ate pizza and salad there by the side of the road. It was too much wine for just one person, so after the truck closed at nine p.m., I shared wine with the proprietors, a hipster looking twenty something couple. 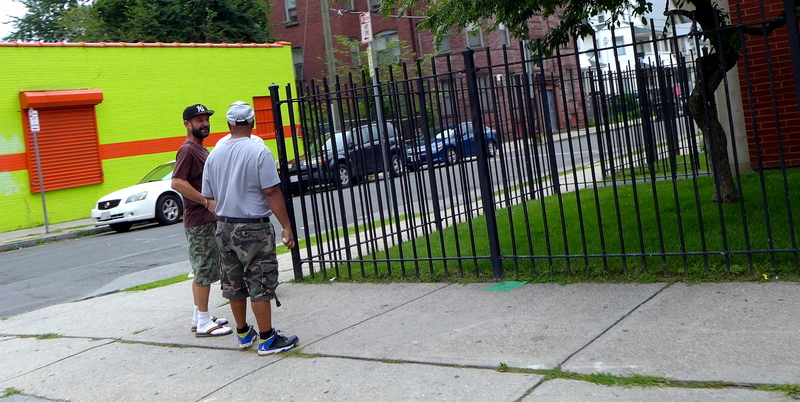 Heading out the next morning, I surmised that if I really had it together, I might make it all the way across Connecticut to Springfield, Massachusetts, about sixty miles to the north. 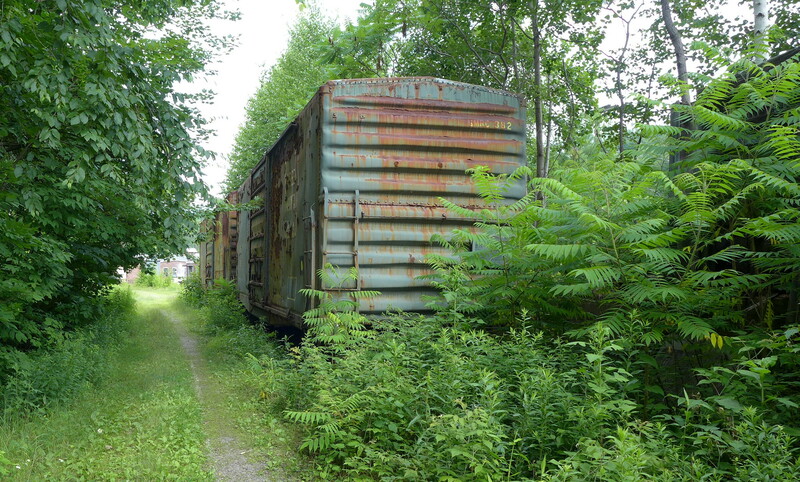 New England is covered in rail-to-trails but some are in better shape than others. 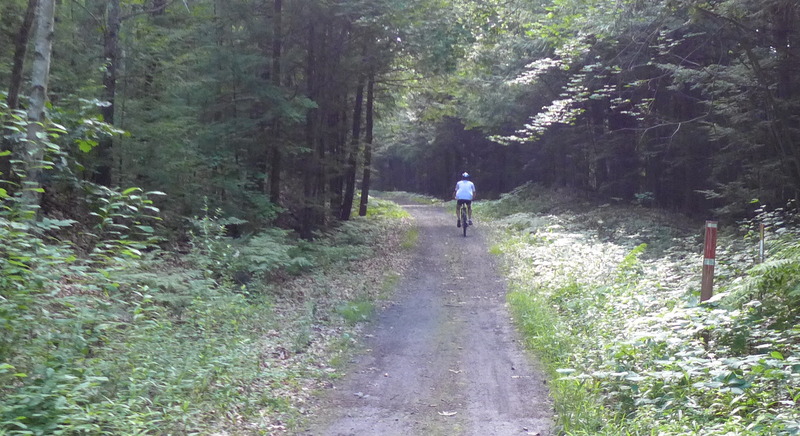 I rode for part of the day on a rail-to-trail that was unpaved but otherwise very pleasant. I had come to New England in part to escape the North Carolina heat. This day was starting to get pretty hot; and it was lunchtime. I stumbled onto Shady Glen Dairy Store, which I was advised has been on this rural highway since 1948. 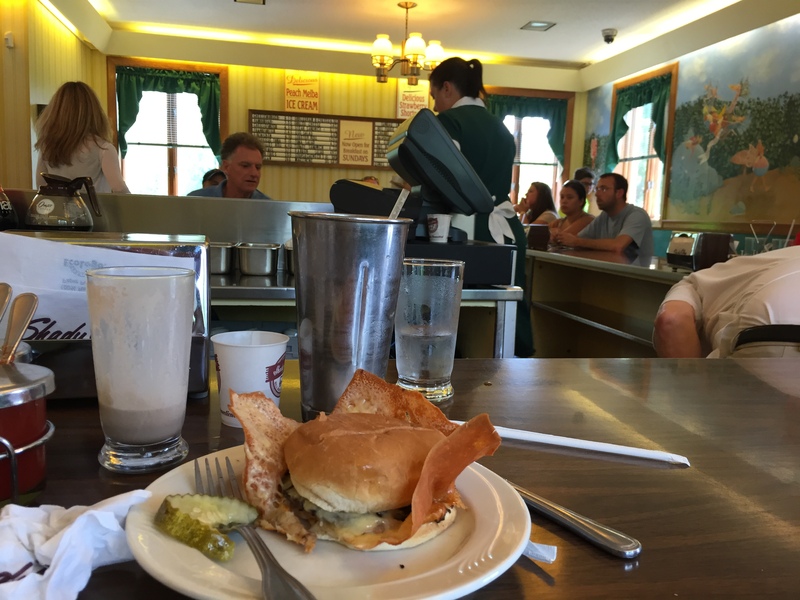 A milk shake and their distinctive cheeseburger with oversize cheese certainly hit the spot. I rode on through the afternoon, through pleasant countryside. In Vernon, Connecticut, I passed this interesting church, called Sacred Heart. I am not the only person who finds this type of architecture interesting; someone has put up a web page about this building. Constructed in 1972, it has been abandoned for over ten years, due to roof leaks and falling pieces of ceiling. I did make it all the way to Springfield, Massachusetts. New England must be incredibly segregated. I realized I had not seen a black, tan, or hispanic looking face all day. The minute I crossed into the city limits of Springfield, the situation was reversed. Springfield, where basketball was invented in its YMCA, is a city that looks like its best days are behind it. 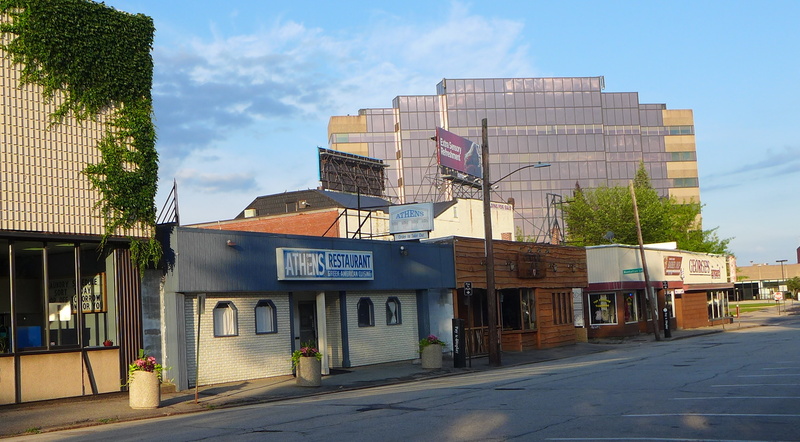 Springfield’s downtown would pleasantly front the Connecticut River, except that the river is blocked by Interstate 91. This was the view of the river from my hotel room. Springfield did have an old school German restaurant (Student Prince) with a colorful scene at the bar. The pork shoulder was very satisfying. Heading again north the next morning, I hoped to get to Brattleboro, Vermont by nightfall. The weather that day was perfect; cloudy with high in the seventies and a strong tailwind. Cycling up along the Connecticut River through towns like West Springfield and Holyoke, things looked pretty depressed. However, crossing over into South Hadley, home of Mount Holyoke College, the towns became cutesie in a hurry. From there rural countryside and scenic roads led me north. One of the better meals of the trip was this lunch in a nice restaurant just before the Vermont line; a gourmet Massachusetts take on the burrito. 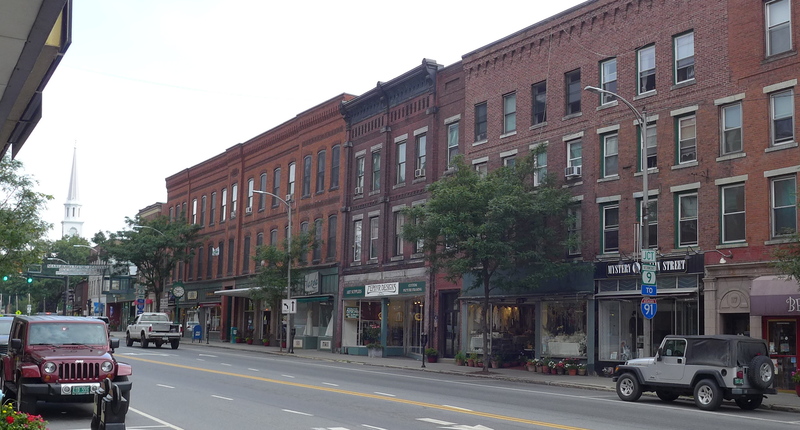 Brattleboro, Vermont looks like the quintessential American town. 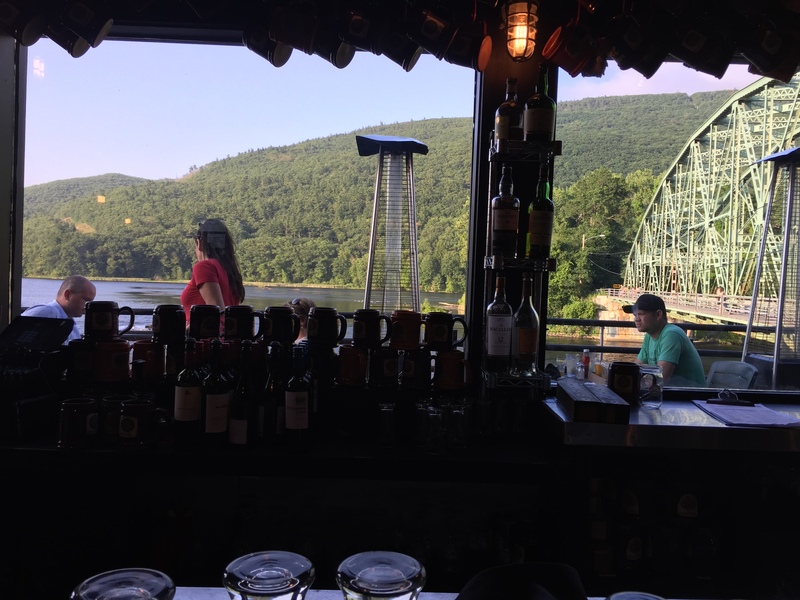 I had dinner overlooking the Connecticut River. The next day was predicted to be hot, so I left Brattleboro very early, riding east into New Hampshire. 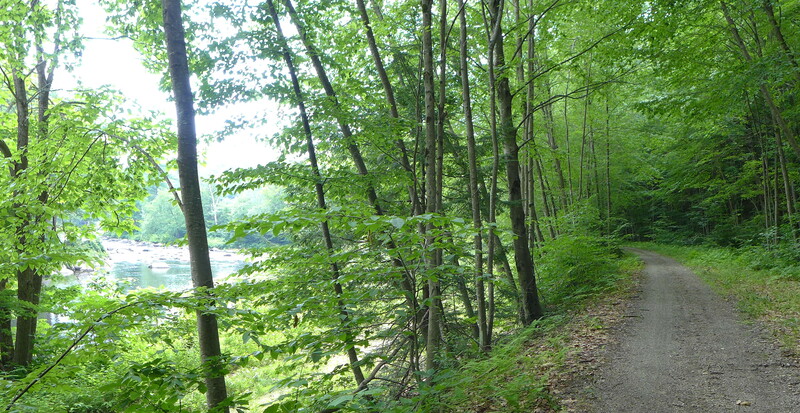 The bike ride started along the Connecticut River, then cut inland on a rail-to-trail. The trail started nicely enough, following a rocky stream. However, the trail deteriorated, and got so rough that I eventually quit riding it. Before I got to my destination of Keene, I stopped to get some water at a store. Not all New England is quaint. It can be quite poor. I arrived into the town of Keene, New Hampshire by late morning. Keene was as picturesque as Brattleboro. 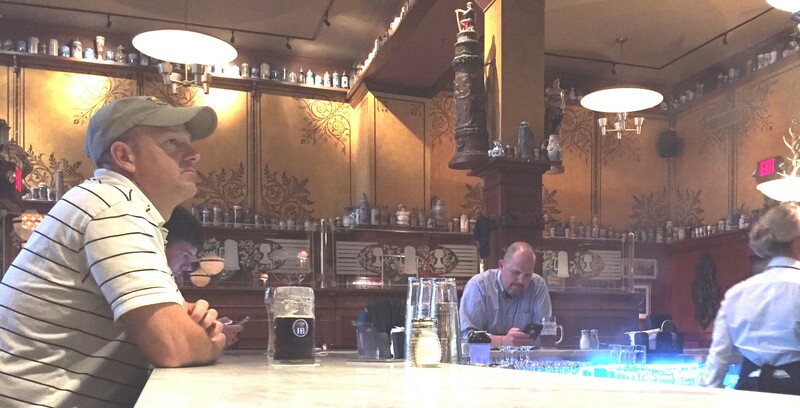 It was Sunday, and I had a nice eggs benedict brunch at the bar. 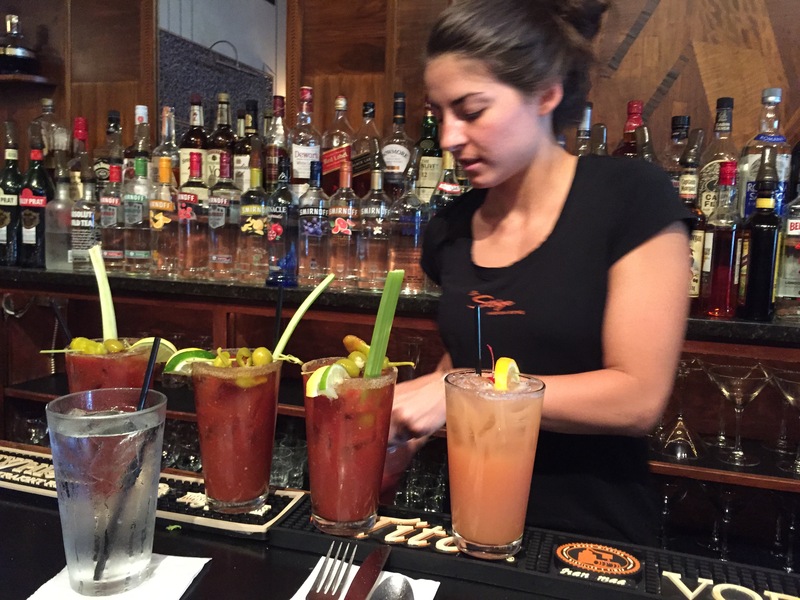 I did not drink all these bloody mary’s; they were for someone else. The next day, a Monday, was also going to be hot, so I left again very early for Manchester. Most of the bike ride was along verdant small roads. I did start to run into a different vibe, one that I had not experienced yet on this trip. I was starting to see the exurbs of Boston; subdivisions of large new McMansions more than sixty miles from downtown. I had heard of Manchester in the constant coverage of presidential politics. I assumed that it was another quaint New England small city. It actually looked more like Springfield, Massachusetts; a fading factory town struggling to find an identity in the modern economy. 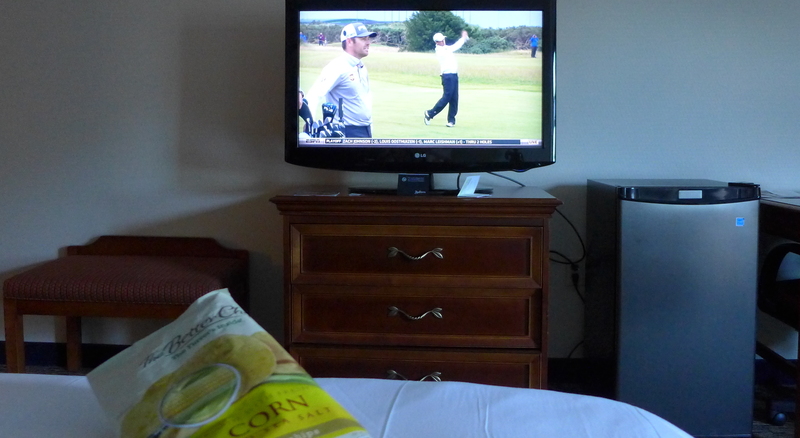 After eating only in restaurants for several days, it was nice to just chill eating on the bed with the TV. In blazing (for New England) heat, I got to my hotel room in Manchester about 2:00 PM with supplies I had gotten from a Fresh Market, including wine, olives and tortilla chips. The playoff of the Open Championship was just underway. The next day was forty something miles to Portsmouth NH. Google Maps indicated a rail-to-trail for much of the way, starting near downtown Manchester. The first part was unrideable. I got off the trail and onto the highway, and tried the trail again a few miles out. It was much nicer. 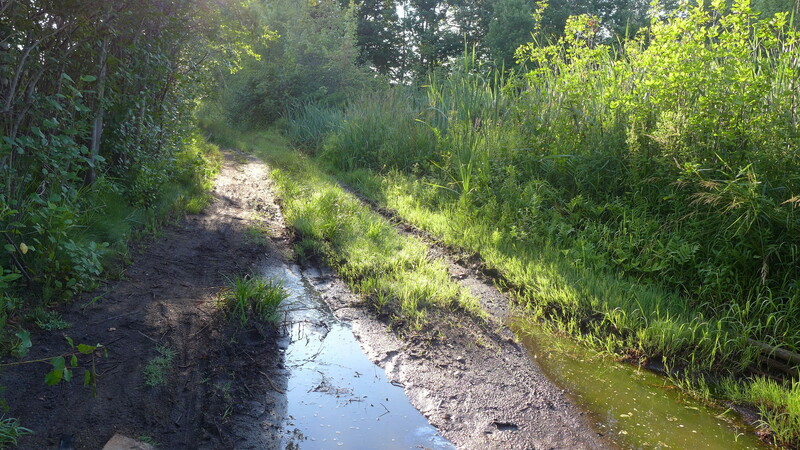 I eventually tired of the dirt path, and rode on two lane roads through small New England towns. Portsmouth, New Hampshire is the kind of town so quaint that people pay a lot of money just to hang out there, to soak in the atmosphere. I had booked an Airbnb a day in advance. The best New England seafood on the entire trip was the chowder I had for lunch at this dive bar in Portsmouth. It tasted intensely of lobster. 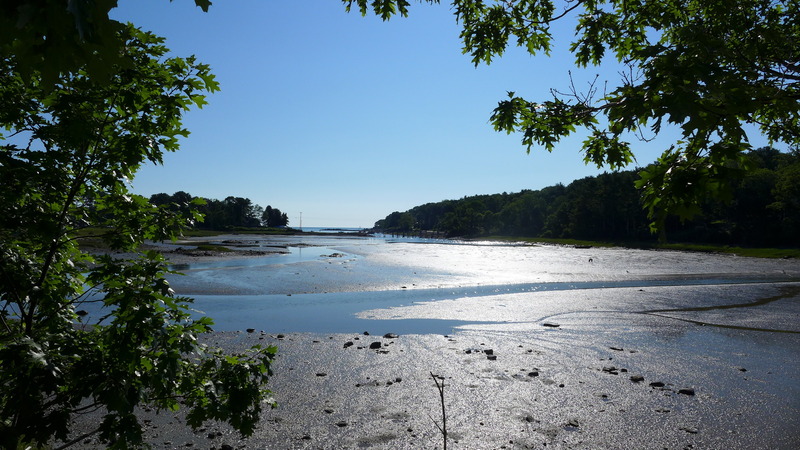 I crossed the Piscataqua River into Maine the next morning. Southeast Maine is a rocky coast, intersperced with areas of beach. 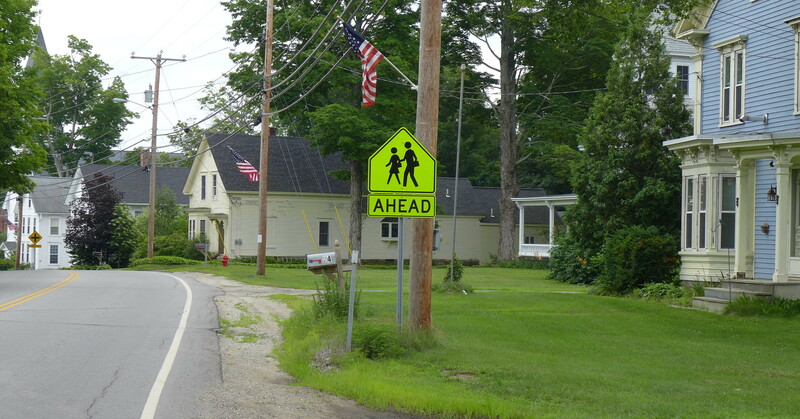 If you stayed off the principal highway the road north was gentle and accommodating; residential. 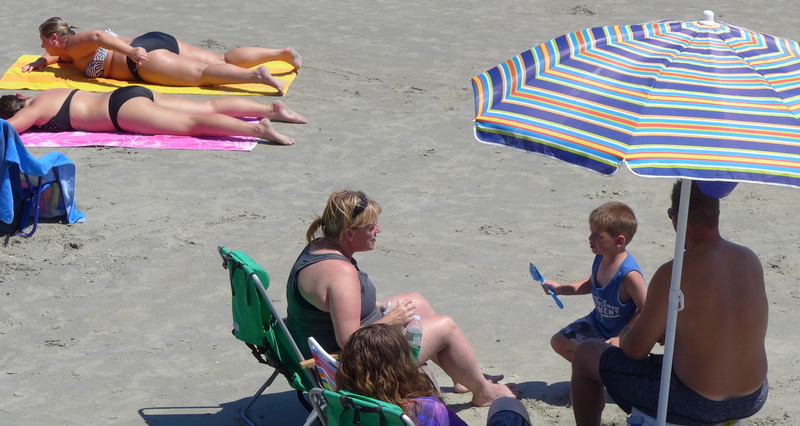 On this warm sunny day in late July the beach crowds were out in force. In the small towns along the coast, parking seems to be one of the big money makers. 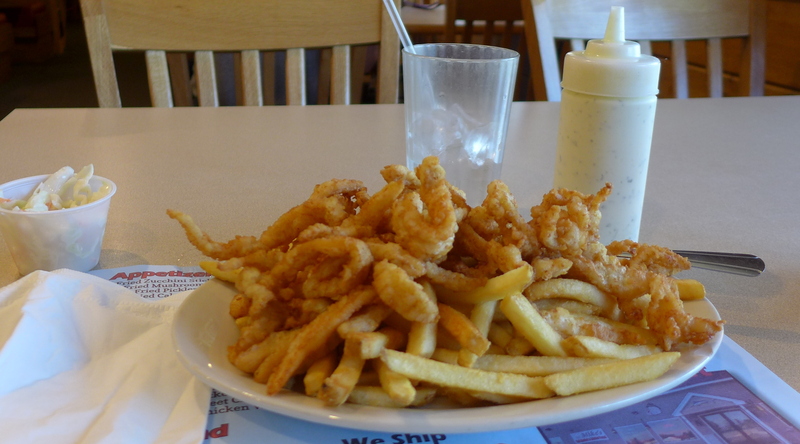 I stopped for fried clams before getting on the train south. They were OK; not as great as ones I have had on other trips. Just after lunch, I caught the southbound Amtrak at the station just outside the small town of Wells. In about two hours, it took me to Boston’s North Station. 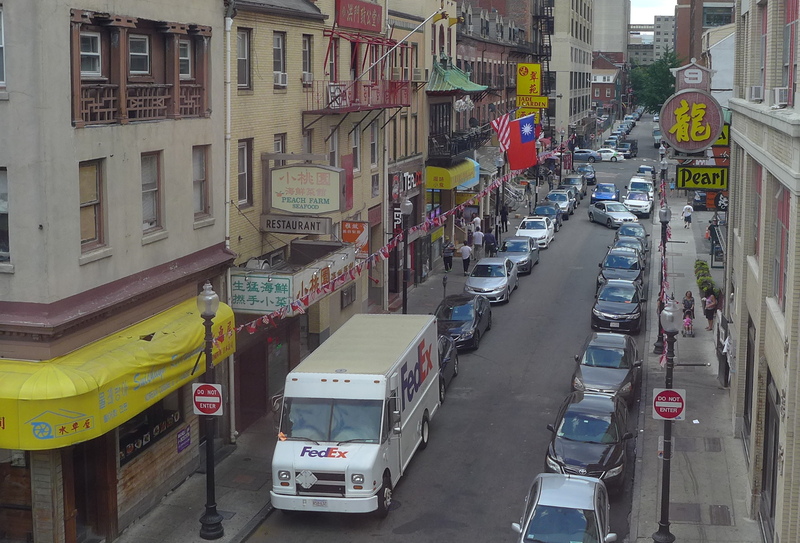 I biked across downtown Boston to an Airbnb in Chinatown. The next morning I left on a 6:00 AM train south to Richmond, and my car. Great trip Paco–You covered a lot of miles.